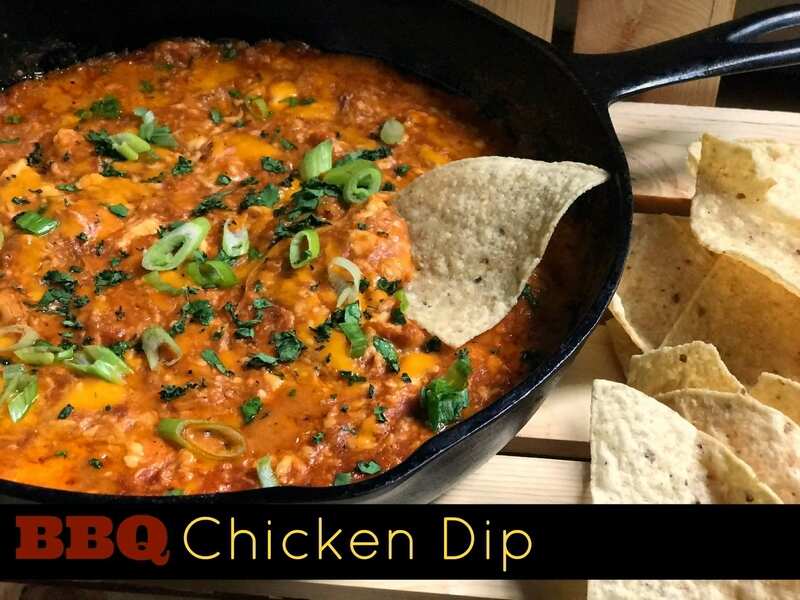 Since I was using leftover chicken, the hands on prep time for this dip was like 5 minutes. The longest part was waiting for the cream cheese to soften. I made this is my cast iron skillet, because I make everything I can in there, but any type of shallow baking dish would work. An 8 x 8 pan or a pie pan would work too. Don’t skimp on the fresh cilantro or green onions. I really feel like it makes this dip! Mix cream cheese and barbecue sauce in medium bowl until blended. Fold in chicken and cheese & mix well. Spread onto bottom of shallow oven safe dish. Bake 20 to 25 min. or until hot and bubbly. Sprinkle with green onions and cilantro. Hungry for more? Check out these 20+ Dang Delicious Dips!